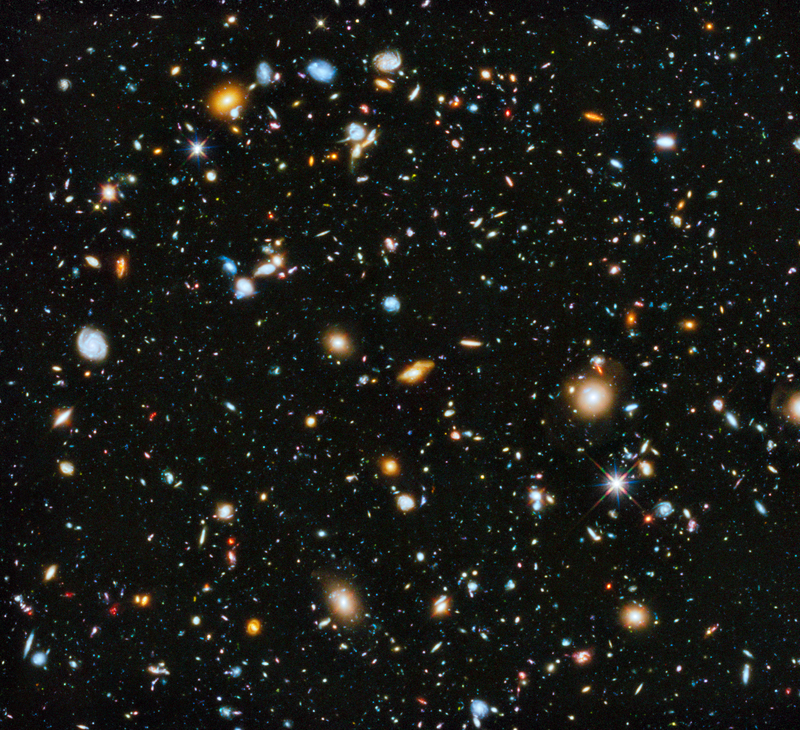 How messy is actually our Universe? We live our lives in order: we are assigned an ID number almost from birth. Attend certain courses for a number of years at school. Start working at a specific place and hour, and finish the day to return to our house at a perfectly localizable address. Further down, we eat more or less healthy diets ruled by our nutritionist, the internet or our hungry, lazy belly. We take precisely dosed medicaments for different purposes. Our cells live and die accordingly to the detailed instructions encoded in our DNA. Further up, we move around in planned trips with variable accident rates, depending on the used vehicle. We measure the movement of the stars, of our satellite and of our own planet, in order to make accurate predictions. It seems it is all ordered and organized, doesn’t it? What happens when we explore even further the two poles of the organization scale? When we go down to our cells, or to unicellular beings, we see they are full of organelles and other structures. These are composed of thousands, millions of chemical substances that interact with each other to build everything within. These molecules can be disposed in several ways with respect to themselves and each other. Entropy, S, is a measure of how messy or disorganized a system is; how many configurations can it have measured by certain variables. The second law of thermodynamics states that an isolated system’s entropy never decreases spontaneously. These systems evolve to states of maximum entropy. Non-isolated systems, on the other hand, may see their entropy spontaneously decreased if the surroundings’ increases by a certain amount, always equal or bigger. Therefore the overall entropy always increases. The classical example is an egg, which can shatter in a trillion different ways, while its number of ‘whole’ states is relatively limited. When an egg breaks, it observes an increase in its entropy —and as everybody knows, it cannot be recomposed again. This would mean that all processes are irreversible, whereas we know it isn’t like that. For example, water tends to go from solid to liquid state, but it can get frozen too! But because all thermodynamic processes must result in a positive increment of entropy, there’s always some loss or inefficiency when a reaction is reversed. Here we can raise a significant point. If, for a system to get ordered we need lead everything around to disorder, shouldn’t we be able to build bigger and bigger open systems? Indeed we can. Remember our introspection moment a couple of paragraphs below? When we go down to our cells, or to unicellular beings, we see they are full of organelles and other structures. These are composed of thousands, millions of chemical substances that interact with each other to build everything within. Entropy decrement means less possible configurations or states for a system. This translate to higher organization and more order overall. Every instance of life is made by organizing matter in more or less complex forms, existing against the 2nd law of thermodynamics and ‘disorganizing’ the surroundings, or compensating somehow with a positive entropy change. But the second law commands heat to flow from colder to hotter, or in other words, from less energized to more energized. For a period of millennia, the particles in the universe will interact and make energy transfers until everything is uniform: all particles will have the same energy, and the universe will be a cold, chaotic mass of them. This is known as the thermal death of our universe, when no more interactions will take place. This post was writing in response to yesterday’s prompt: messy. Some of the information in this post has been checked in two books: The Universe in Your Hand by Christophe Galfard; and Five Equations that Changed the World by Michael Guillen, of which you can read my review here. Hi! Hope you enjoy reading my blog as much as I enjoy crafting it. You will find science content, based on everything and anything, but also some of my writings and ideas. If you like the contents, don’t hesitate to share with everyone. Just don’t forget to credit the author. Contact me if you need anything.